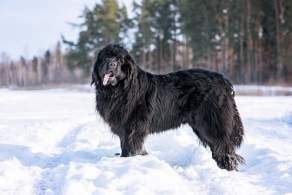 The Newfoundland is a large working dog which was originally bred to help pull fishing nets and lumber in Newfoundland. 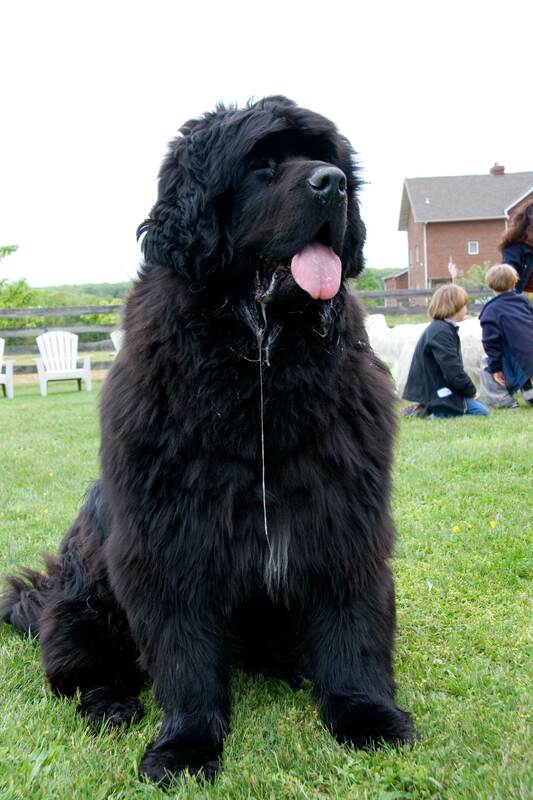 Newfoundlands are water-loving powerful dogs with a gentle heart. The breed makes a great family companion as Newfoundlands are extremely gentle with children and has an instinct to watch out for their family (similar to a babysitter). Newfoundlands are intelligent dogs with a strong desire to please their owner. 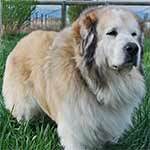 This combined with their work ethic makes the dog easy to train and an ideal companion for any family. 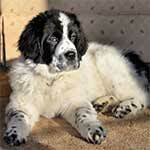 Below are the details and specs for the Newfoundland dog breed. Newfoundlands are a giant dog breed. 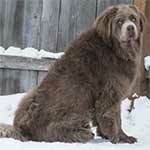 Adults stand 25-29 inches tall from ground to shoulder and weigh between 100-150 pounds. 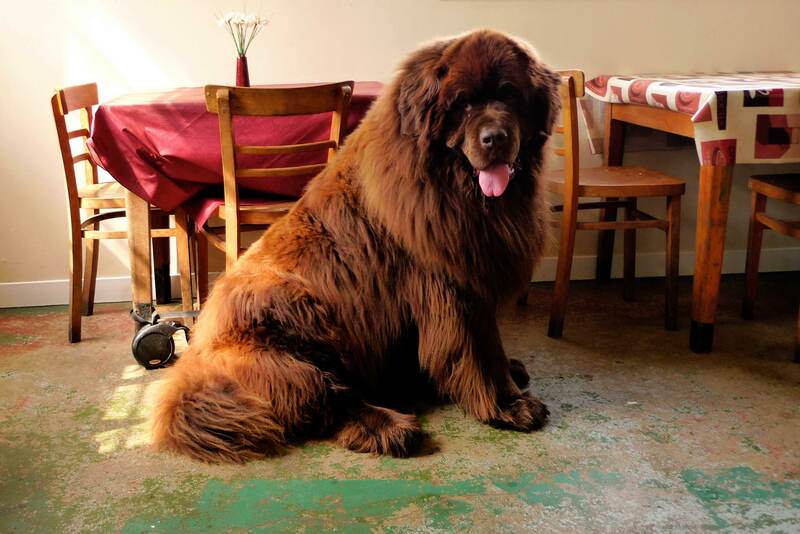 Their size can make it difficult for the breed to live in small environments (such as apartments and condos) and do best in a home with ample space. 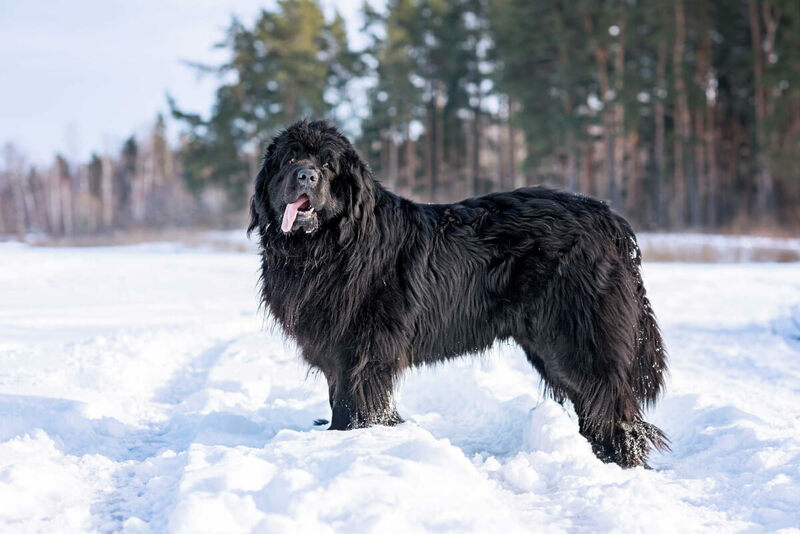 The breed does best in cooler climates as newfoundlands can overheat in hot weather. 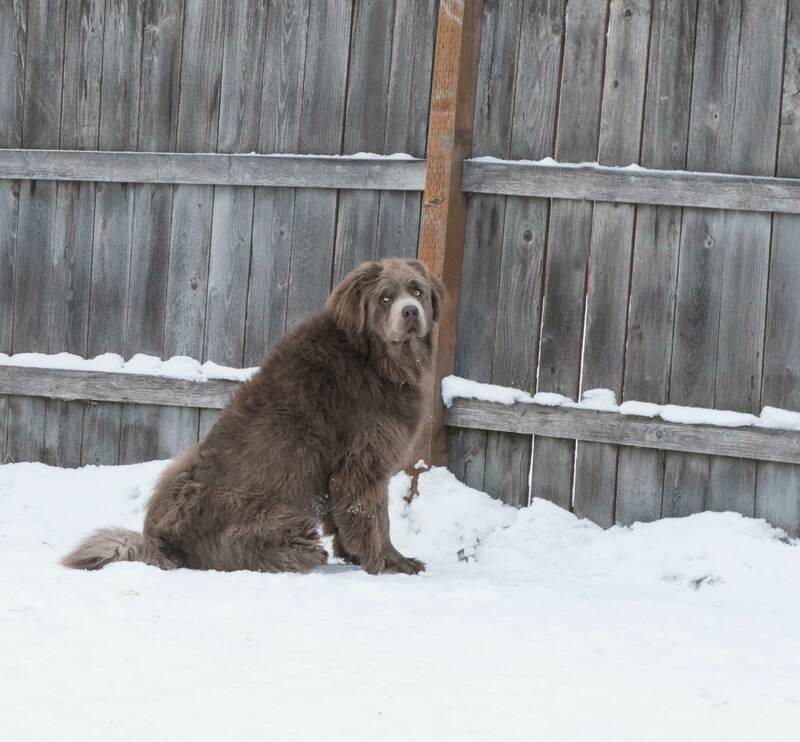 Newfoundlands are gentle giants. 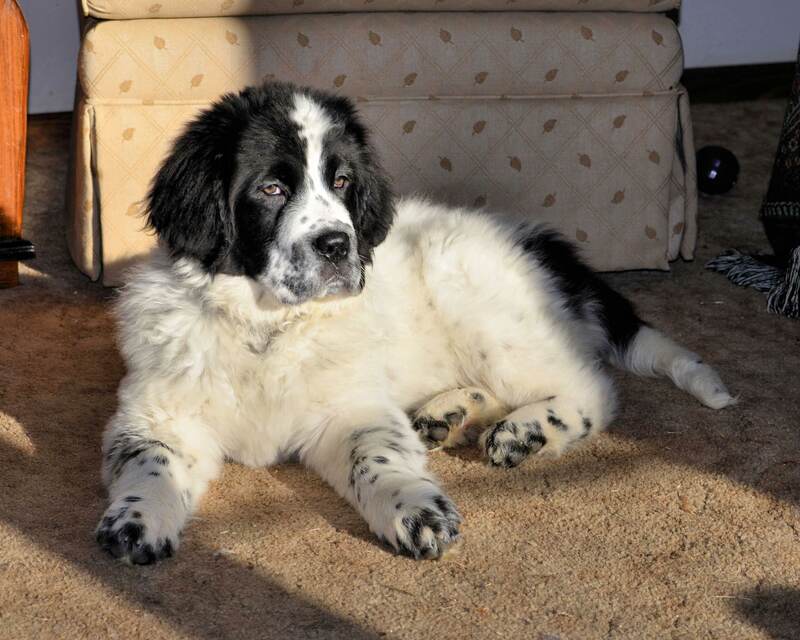 They love children and being involved with the family. 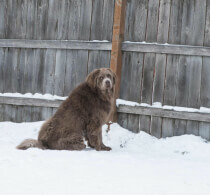 It is not uncommon for Newfies to take on a babysitter type role and there have been many instances of newfoundlands saving children from drowning. 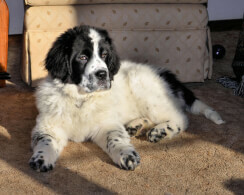 Even though the breed is naturally friendly, it is recommended to start socializing the Newfie early as a puppy to ensure a well rounded adult. The Newfie is a medium to high maintenance dog breed. 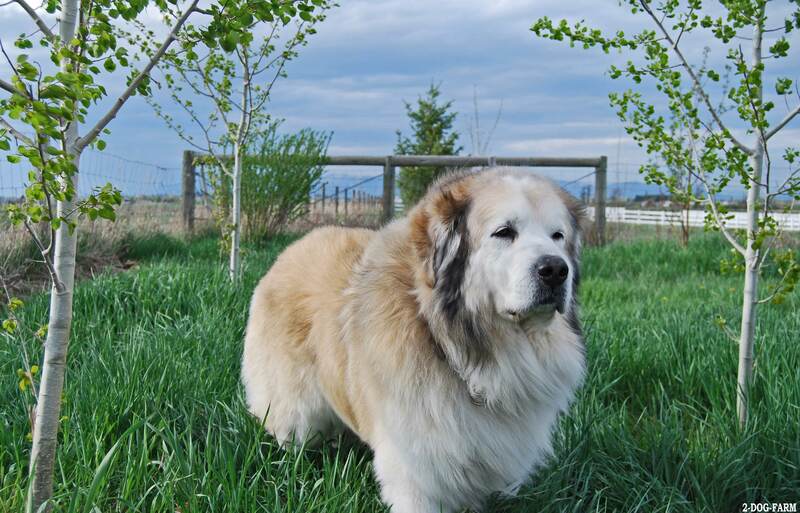 They may seem mellow, but the breed requires moderate daily exercise to expend their energy. 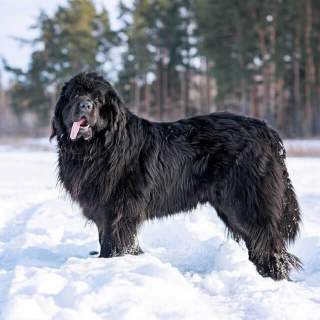 The Newfoundland's coat also requires a lot of maintenance to keep clean and healthy. The breed generally sheds in the spring and fall, but can occur at different times of the year if the breed lives in a hot climate. 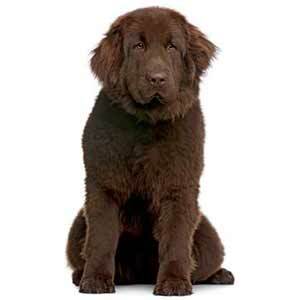 Below are common colors of the newfoundland dog breed. 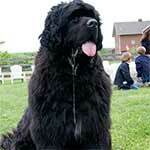 Below are pictures of the Newfoundland dog breed.